ARCA incorporates current best practice approaches with the well-established and widely respected 12 step models to meet its mission to serve individuals with Substance Use Disorders and their families, and of educating the community about the recovery process. Alcohol or drug problem? Call us. The Addiction Recovery Care Association, Inc., better known as ARCA, is a place where a family-focused environment and highly skilled staff work together to create an atmosphere that fosters recovery from alcohol and drug dependency. We’re not here to say that the road to recovery is an easy one. It isn’t. ARCA does, however, offer a 40-year track record of success by assisting people with Substance Use disorders to recover and maintain healthy lifestyles. Services available include medically managed detoxification, residential treatment programs, a family program, a Spanish language program and after care referral. 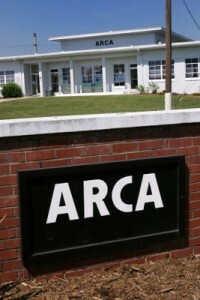 The path to recovery begins at ARCA. For over 40 years, ARCA has served individuals and families affected by addiction. Individualized treatment, combined with twelve step principles, group therapy, and family involvement are the building blocks of ARCA’s treatment programs. These components of treatment provide our clients with the tools to maintain their freedom from alcohol and other drugs and regain a true sense of self confidence and responsibility. Addiction is a disease that affects not just the person with a substance abuse problem, but their family as well. Family members and loved ones may often feel lonely, frustrated, afraid or ashamed. At ARCA we offer programs to help support your family. I was recently a client at Addiction Recovery Care Association, a non-profit residential substance abuse treatment center located in Winston-Salem, NC. My life was saved there and I now have the tools and desire to live a life of recovery. Hello. Hope things are going well. Still using all the tools you gave me to live again. I want to say thank you from my heart. I’ve been here living at the Oxford House in Charlotte. Life is so great. My network is large, very good sponsor also. I thank God for ARCA. Please tell the staff great job. You all are special, y’all save lives who choose to live – y’all save lives who choose to live. I would like to thank the staff here at ARCA for going above and beyond their duties to help me. Because of y’all I am here today. From the bottom of my heart thanks! A special thanks to Ms. Patsy, Cathy, and Patty. I wanted to write this letter to express my sincerest gratitude for all you’ve done to aide in my “new beginning.” I believe all that are still struggling should be fortunate to experience all the love I have received. I’ve received so many kind words, warm smiles, and “awesome attitudes!” As Tony the Tiger would say, “I think you’re GRRREATT! Thank you for everything that you do! I took a lot away from each and every one of the staff. I will always remember my experience at ARCA! Copyright Addiction Recovery Care Association © 2010-2019.